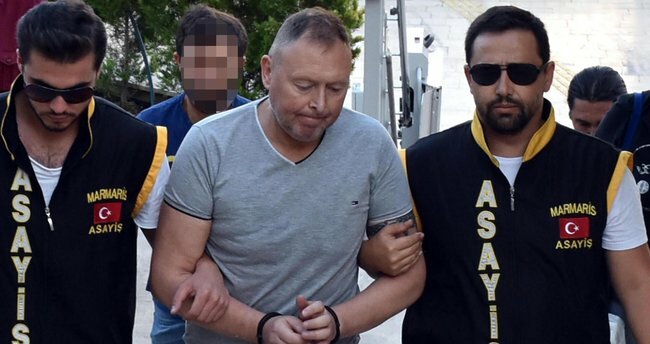 A Turkish court has sentenced an Irish man to more than eight years in prison for attempting to steal a diamond ring worth $40,000 from a jewellery store in Turkey's southern Muğla province, Turkish newspaper Sabah reported late Saturday. Ian Cambell was on holiday in Muğla’s Marmaris district. The 54-year-old man attempted to steal a 2.5-carat diamond from a local jewellery store by swallowing it on Oct. 4, 2018. Turkish police arrested him immediately after the incident and he was later released on parole. Campbell agreed to have the stone removed at a private hospital even though he was warned it could be risky and that he would have to pay for the procedure himself. After the diamond was removed, he was taken to court. A Turkish court on Saturday sentenced him to 8 years and 9 months in prison for theft. Campbell had earlier explained to a Turkish prosecutor that he swallowed the diamond because he “fell into trance” the moment he saw it. “I fell into trance when I saw the diamonds. The jeweller was telling something to me but I couldn’t even hear him because I was in trance. When I was conscious again, I found myself hiding a diamond in my pocket and I swallowed it in panic as jewellers started to search it,” he was quoted as telling the prosecutor.